Want to buy an elliptical for your home but don’t want to spend much on them? Then you came to the right place. We will help you choose the best ellipticals under $200 for your home. They are really compact ones and are perfect for a small home gym. Unlike the treadmill which is too expensive, it is better to start with ellipticals that are available for a really low price. 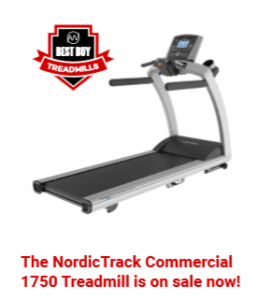 Treadmills are more susceptible to damage as these have many moving parts and unless each of them are well built you, will be forced to repair it once in a while. But ellipticals don’t have that many moving parts so if you want a cheap stable fitness equipment, then elliptical is the one to go. Our experts have made a list of top 3 cheap ellipticals making to make it easier for you to choose from. Buying Guide for Cheap Elliptical? Extreme care must be given when you select an entry level elliptical because there are chances where you might miss the important features that are a necessity in every elliptical. But don’t expect too many features as it is just a basic elliptical. Just ensure that you don’t waste money on something that lacks the essential features that you wanted. So check the features listed below well before making the buy. Designs are not at all limited in this price range. There are a variety of options for you to choose from: the standard elliptical, hybrids, subcompacts and manual ellipticals. Don’t forget that these are from different categories and have different disadvantages and can perform well in specific kinds of workouts. Finding the best the one for you is not a tiring task if you know what you intend to achieve using the treadmill. Stride length determines the intensity of your workout sessions. So make sure that when you choose an elliptical it has the required stride length. More the stride length, the more is the space for your legs while working out. It can easily be understood by the way we walk short as the strides are similar to short steps and longer strides similar to regular walking. Cheap ellipticals have up to 12″ stride length but the commercial ellipticals have up to 20”. But there are limitations that are associated with those machines. The stride length of over 10″ is always advisable and be aware that shorter stride lengths can cause pain on your knees. Like any other machine, ellipticals too come with display units. Display units are of great use when you need to need to monitor your health statistics and for analyzing your improvement for future workout routines. The best ellipticals in the affordable category that we listed have proper display units. A water holder is necessary during workouts because you never know when you get thirsty and the thirst must not interrupt your workout too. They must be positioned in a way that is easily accessible to the users. On models like Horizon, the holder is positioned too low. You will be forced to bend in order to reach it. Schwinn and Nautilus ellipticals are better as you aren’t interrupted when you need water. But none of them has good shelving for media. They are either too high or too low. Ellipticals by Schwinn has a storage space where you can keep your things. Type of resistance is a crucial factor that determines the durability of your elliptical. Normally the pedal resistance is adjusted by two methods – contact breaking or by touch-free magnetic force. Magnetic resistance is a new innovation and it has become the new standard as it is quieter and requires lower maintenance. With high resistance levels, you have the ability to make the workouts more challenging. This is where cheap ellipticals and expensive ellipticals differ. Cheap ellipticals have fewer resistance levels and they do not offer a smooth ride while expensive ellipticals have better and smoother rides with high resistance levels. Maximum resistance level offered by the best ellipticals in the cheap category is about 12-15 pounds. Club quality ellipticals are the best in this and they provide the maximum resistance levels. 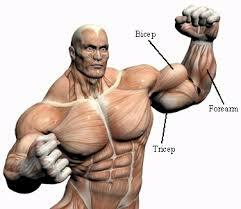 With more precise resistance, you can be more specific on your workouts. Generally, the cheap ellipticals under $200 have around 16 resistance level settings. Elliptical trainers are well-built machines with complex structure. But you can gain a good insight into the longevity of the product by checking out some specific features. Maximum weight capacity is a good indication regarding the endurance capacity of the elliptical. And the quality of the material used will also decrease with lower weight capacity. Commercial grade ellipticals have the weight limits 300 to 400 pounds. The cheap elliptical for the home requires the weight capacity of at least 250 pounds. The longer the warranty the longer you can expect the machine to last. Also, make note of the parts warranty and labor coverage given with the elliptical. But understand it is a fact that the maximum warranty that you might get even for the best elliptical under $200 is 6 months. Buy an elliptical with good reviews. It is always good to take second opinions from people who actually used the machines. This is much easier if you are buying from a reputed brand. If a company has a bad history then avoid them immediately. The main advantage you get with a cheap elliptical is the low price that you have to pay for maintaining your health. The best ellipticals under $200 have a compact size and cause a lower impact on your body too. An expensive $1000 elliptical is not really necessary to get the basic elliptical experience. Yeah, they have more features but that’s it. If you are a beginner who wants to start working out, then cheap ellipticals must be your first choice because you don’t really know what you need. Expensive ellipticals are for the people who know exactly what they want and have good knowledge about the ellipticals. They really know all the specifics regarding the machine they want. If you randomly spend too much money on an elliptical then you might regret later. A cheaper buy means you can always replace them with the one you want and it is better to do it once you decide to make your workout much more intense. Anyway, you won’t be missing much in a cheap elliptical. Cheap ellipticals are by default compact in their designs and it is due to the lack of many additional features. So if you want a compact device you can easily select one from our list and you are good to go. There are space saving ellipticals in the higher segment too but you will be paying extra for the space saving feature or else you just go for the folding ellipticals. You can know more about them in your dedicated guide for them. There are under desk models which can be called as subcompacts. They are optimum for people who work a long time on their desk and want to use their ellipticals. Ellipticals are designed in such a way that it causes the least injury on your knees unlike other fitness equipment like a treadmill. They have their own benefits but ellipticals at every segment even the cheap ellipticals give you a healthy workout experience without damaging your body. If you want to protect your knees then go for it. What we were trying to tell is going cheap on a cardio equipment is also a choice you can make. And ellipticals are one such equipment which won’t cost you much. The best ellipticals under $200 that we reviewed are good choices which you can take. We found Marcy NS-40501E to be the best buy for people on a tight budget. It has good enough features for you start working out. Start working out and keep your pockets and heart healthy.